The North & South Korean table tennis teams will be joining forces to form unified doubles pairs to compete at the upcoming Seamaster 2018 ITTF World Tour Platinum Shinhan Korea Open to be held from 19-22 July 2018 in Daejeon (KOR). The news comes after the North Korean team confirmed its participation at the Korea Open for the first time in history under the support of the ITTF Foundation as part of its Ping Pong Diplomacy programme to promote solidarity through table tennis. The North & South Korean teams will form four mixed associations pairs to compete as one Korean team in Men’s Doubles, Women’s Doubles and Mixed Doubles events respectively. The ITTF through its Foundation will look to continue this positive unified doubles pairs initiative in the upcoming ITTF World Tour events leading up to the ITTF World Tour Grand Finals. 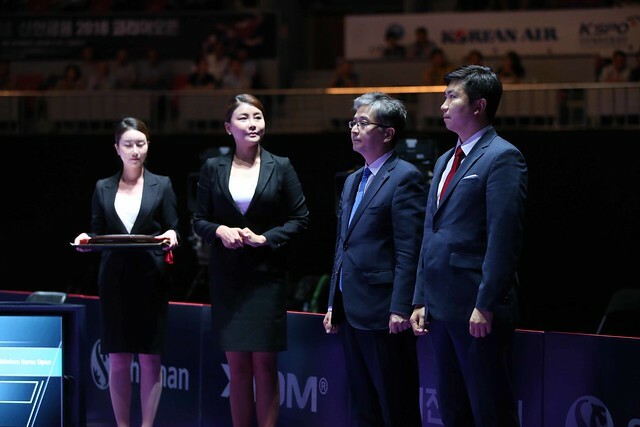 The Shinhan Korea Open is the fourth Platinum event of the Seamaster 2018 ITTF World Tour with qualifications starting on 17 July 2018 and main draw action beginning on the 19th.